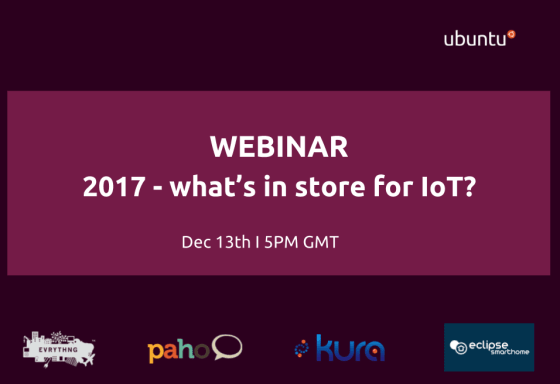 Webinar: 2017 – what’s in store for IoT? It’s nearing the end of the year! Time to take a breather and plan for 2017. As part of our ‘IoT builders’ webinar series, we have asked some of the most prominent technologists, community builders and visionaries in this space for their advice and practical predictions on what’s worth working on next!